AUSTIN — Are you an investor looking for the next big thing? A brilliant innovator with big ideas and no money? The SXSW Start-Up Village, pitch competitions and spotlights could hold the key to your future. But that could take days to maneuver, when what you really need to know about startups is all here in today’s StoryConnect @ Omnicom exclusive report for Campaign. Heard something about a cat? Move over Grumpy Cat, there’s a new cat in town. 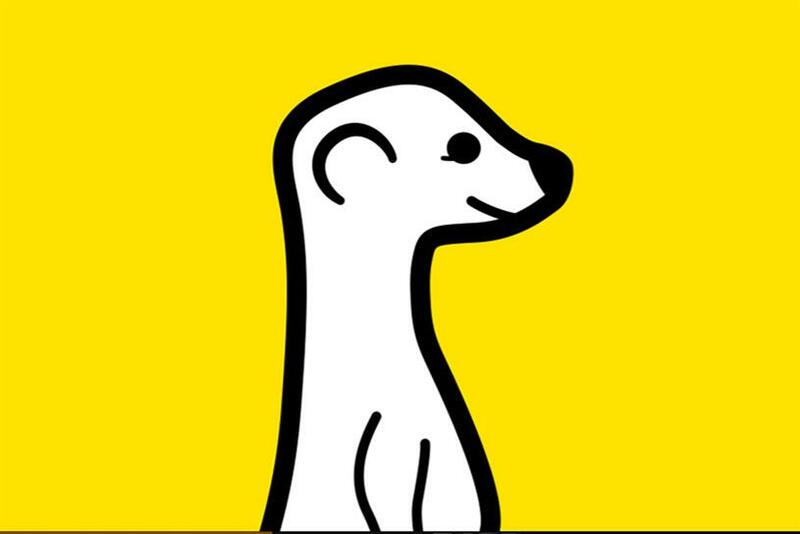 A Meerkat, to be exact — the live-streaming app projected to be this year’s SXSW breakout app. Ever affected by FOMO (fear of missing out), SXers started using the app en masse, which basically broke Twitter. Twitter wasn’t super appreciative and turned off Meerkat’s access to the Twitter social graph. Which made everyone want Meerkat even more. In fact, the company reported their users grew by 30% after the crackdown. This time, the cat got the mouse – er, bird. Ok, but what happens when everyone stops talking about Meerkat? Oh, there’s plenty to talk about — in fact, SXers have mentioned startups 32,944 times. What are they talking about? Forty-seven percent of those conversations were about startups related to audio and music. (Check out Novalia’s Dr. Kate Stone who’s turning paper into speakers). And if they’re not already, they’ll soon be talking about Honest Dollar, this year’s ReleaseIt Pitch Competition winner, who’s providing crazy-affordable retirement plans to small companies. It’s just SXSW; aren’t these startups trying to tackle some pretty big problems? France, Germany, Ireland, Israel and Spain thought so — and decided it was important enough to show up in Austin to support their native startups and do their part to create environments conducive to entrepreneurs. From year to year, the global interest in startups and their capacity to effect change grows. Turns out, even nations suffer from FOMO. 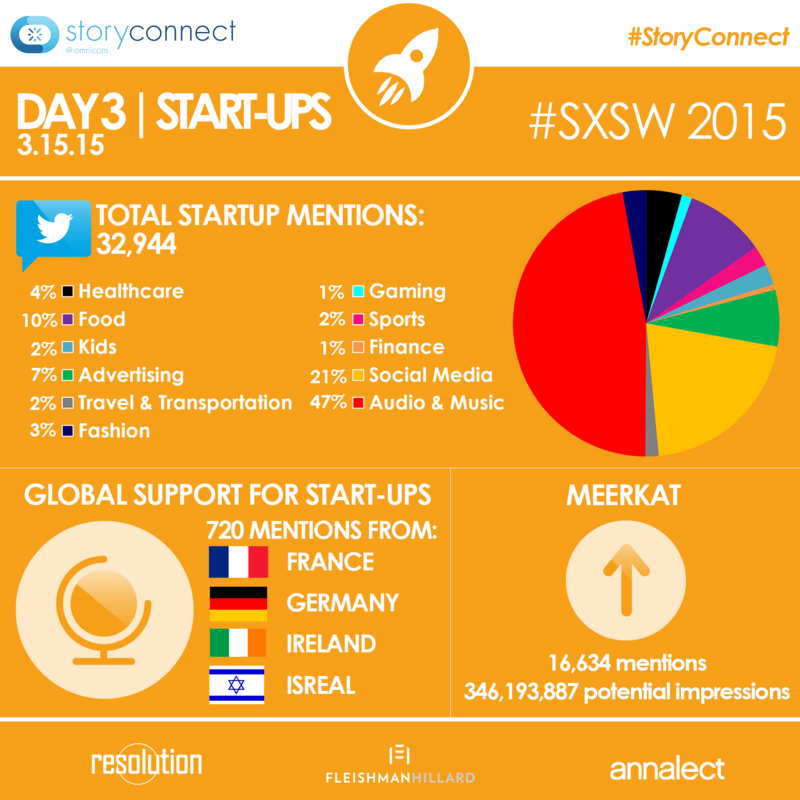 Daily SXSW Interactive 2015 social media tracking and analysis provided by StoryConnect@Omnicom, the content newsroom and advertising center at SXSW Interactive, powered by Resolution Media, FleishmanHillard and Annalect. Could Yik Yak beat Twitter?